Dubai is a great place for shopping! After all, the city is the home of the largest mall in the world, Dubai Mall, with 1,200 retailers for shoppers from around the globe to indulge themselves. However, not everyone loves to shop. For those people, there’s a long list of fun activities which do not involve walking around the mall for hours. This is perhaps one of the most popular things for tourists to do in Dubai. For those who visit this Emirate, it’s always a blast to take a day to visit the desert – after all, that is the original landscape of the city. There are dozens of Desert Safari companies around Dubai and every hotel can direct visitors to their recommended one. This is a fantastic way of exploring the desert dunes, riding camels and better understanding Bedouin culture and history. For those looking for a fun indoor day activity which is not the mall, IMG Worlds of Adventure is the ideal place to head to. This theme park is the largest indoor park in the world and provides residents and visitors with exciting rides for all ages – guaranteeing a fun day for the entire family. This is a great place to visit for those coming to Dubai during summer, when the outside temperatures are extremely high, so they can spend the day in air conditioning but not at the mall. This is an epic way of seeing Dubai from a different angle. 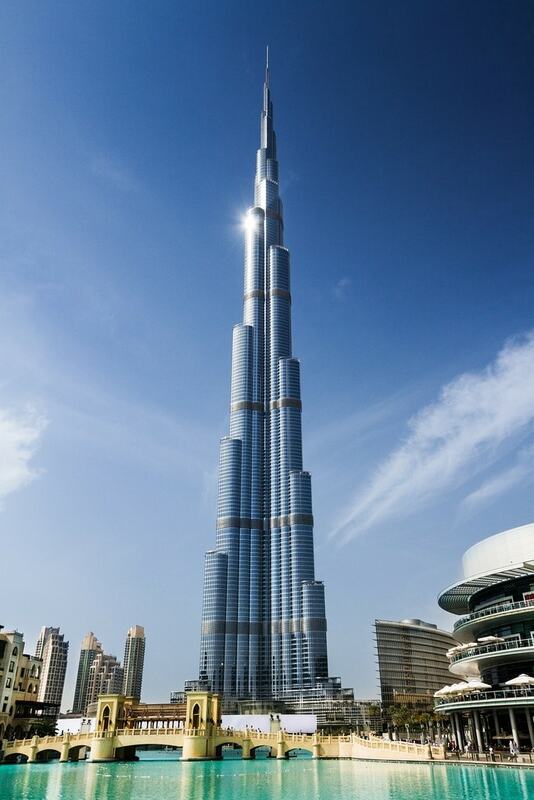 The Burj Khalifa is the tallest building in the world at over 800 meters high. Visitors get the opportunity to go up the tower and see Dubai from a glass observatory, where they are blessed with an unforgettable view of the city. The best part is that the only shopping that can take place during the visit is souvenir shopping. Mall of the Emirates is one of the more popular shopping malls in the city, with massive department stores, as well as luxury labels. However, it holds another attraction which can be much more exciting than exhausting one’s credit card. The mall is home to Ski Dubai, an indoor skiing park that is entertaining for all ages and levels of experience. So when visiting the mall, skip the shops and head straight here. A lot of activities and attractions in Dubai have entry fees, which can sometimes be expensive. However, for those who are not shopping in order not to put a dent in their budget, the beach is the perfect place to spend the day for free. Dubai has a series of public beaches, some even including a stunning view of the city’s most popular landmark: the Burj Al Arab. For those who love nature and wildlife, Dubai may not seem like the dream destination. The metropolitan city does not offer much when it comes to seeing wild animals – other than camels of course. However, there’s a place in Dubai where people can literally just walk into a tropical forest. The Green Planet is a dome located in the middle of the city where a tropical ecosystem has been created, accommodating typical plants and animals of the region. This is one of the most baffling places to see in Dubai. 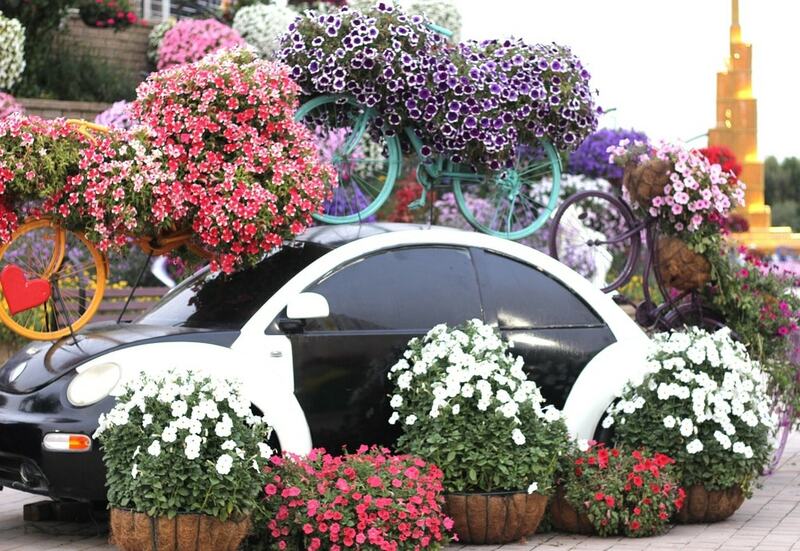 For those looking to enjoy an outdoor activity which has all the good factors of a tourist attraction – it’s beautiful, it’s cheap and family friendly – the Dubai Miracle Garden is the ideal place to go. As its name would suggest, it truly looks like a miracle to see so many colorful flowers in the mist of the desert, as well as floral sculptures that will make anyone’s chin drop. The garden holds the record for the largest floral arrangement in the world, created in the shape of an Airbus A380. The malls are not all bad. Yes, they tend to be super packed, specially over the weekends, and involve a tone of walking around back and forth. However, they are also where people go to catch a movie, and when it comes to cinemas, Dubai does well. Dubai has cinemas in almost every mall, as well as other unique spots, and this may be the perfect excuse to pay Dubai Mall a visit without having to shop. Perhaps a better thing to do with the time one would be shopping is visiting the Dubai Museum. Instead of burning through their travel budget, people can pay less then 1US$ in order to better understand the history of Dubai. The museum is located in an old fort, which is one of the oldest buildings still standing in Dubai, made out of coral and shells. Here, people can have a walk through the history of the city and the country. For those who do have a significant amount of budget, but are just not in the mood to go shopping, Skydive Dubai is the answer. Instead of spending that extra cash on a purse, visitors can spend it on an experience they will never forget. After all, what can be more epic than free falling from an airplane with the view of the Palm Jumeirah? Definitely a better alternative to shopping. Visiting Dubai’s Old Quarter is a marvelous way to spend the day. 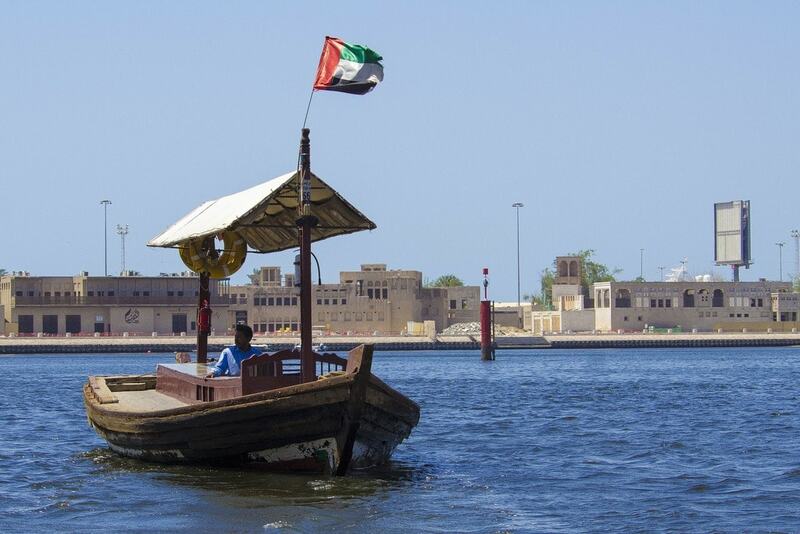 Here, people can walk around some of the oldest living communities established in Dubai, cross the Dubai Creek on an abra (which is a traditional water taxi) and observe the merchants loading their boats. This is a great opportunity to walk through the traditional markets, the Spice and Gold Souk. Even for those who don’t wish to shop, this is a fantastic anthropological experience.